This tutorial will show you how to reset Android on your LG G-Slate. 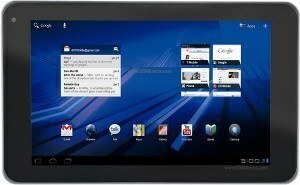 Although the LG G-Slate, launched in November 2011, is already discontinued, many users are still purchasing it second hand or on garage and opportunity sales all around the country and even the world. It is very important to know how to reset Android and leave it as when just purchased, brand new, in factory default mode. Following our instructions, you can perform a hard reset on your LG G-Slate. You may do so before you start using it, guaranteeing a clean start at full speed with the LG G-Slate . Performing an Android Reset on your LG G-Slate will lose all data and personal configuration settings. This includes contacts, messages and installed applications. But then, it will also include the deletion of any pattern block in use. Thus, if you are locked out from using your LG G-Slate, you will regain access to it by hard resetting this tablet. For this first method of resetting Android on LG G-Slate , you’ll need access to the Android operating system. This means that your LG G-Slate need to be in working order. When this process is finished, your LG G-Slate will restart as if brand new. Following this step by step guide you can restore the factory settings . Now press the VOLUME DOWN button and hold lit until “Android Recovery” text appears on the upper left corner of your screen. When you see the recovery screen press the Off button. While pressing the OFF button, also press the VOLUME UP button. You will now see a number of options to restore the G-Slate. By following any of these two reset Android methods, you should have managed to restore your LG G-Slate into factory settings.